My name is Leslie and I am an alcoholic. Welcome to my journal. I am attempting to grow from complete insanity (crazy as a loon) to semi-sanity and courage. Just a few short months ago, I almost died from my alcoholism. I have struggled with this progressive and heart breaking addiction for 20 plus years. By the grace of God, my caring Recovery Community, the wonderful staff at the UAB Treatment Program and the unconditional support of family and friends, I am alive and kicking today. The fact that I have not had a drink since June 2015 is nothing less than a miracle. I have been afraid all of my life which was a huge part of my disease. Fear is what locked me in a box literally drinking myself to death. Fear of living, fear of not living, and fear of everything in between, drove the insanity of my disease. I am working to challenge myself, get out of my proverbial comfort zone, to rid myself of the powerful force of that darkness one step at a time. The 1st quest in my journey to recovery, included a 3 week road trip from Birmingham, Alabama to San Francisco, California on Route 66 and following the Oregon Trail on my way home. This trip was over 6000 miles of driving and quite frankly, was life changing. I had never ventured much farther than my own back yard so this was truly a leap of faith. Was I scared? You bet I was. Did I overcome that fear? Only by faith. I will continue walking the path of recovery, facing my fears, one by one. The lessons I learn will be shared along the way. This is not an advice blog or a guide to perfection, merely my personal experiences as I muddle through this new way of thinking and living. It will be an adventure I would like to share with everyone. A wise woman once told me, “Recovery is not a destination, it is a journey”. Ingenious! I didn’t see the beauty in that statement before, but now, my eyes are wide open. What a gift! Who knew that one day I would be grateful for my addiction? That same addiction that nearly took me out a year ago, is leading me down a path of self-awareness and peace. Without the beast of alcoholism and the gift of desperation, I would not be where I am today spiritually, emotionally, or mentally. God is doing for me what I could never do for myself. This new life is a trip! Enjoy the journey! This is inspirational, and welcome to the blogging scene! (I saw your comment on a different blog and followed the link! Nobody ever shares that, but it’s sometimes nice to know that it works!) My sister suffers from alcoholism and just started rehab, your post gives me hope that she can really turn things around! Thank you for the kind words. It does work if you want it bad enough. I’ll keep your sister in my prayers! YOU are an inspiration and I love your blog. Keep your eye on the prize every second, and keep passing on your story – You are making a profound and lasting difference, and quite frankly, I think that is the reason we are all here. You go, Girl! Recovery is not the end of addiction. It is the beginning of a fabulous journey. Like all journeys, it begins with small steps. And, it begins with a decision. I have been sober over 25 years and the last 10 have been the hardest although I worked the 12 steps diligently, it wasn’t until the issues eating at me surfaced that I began to make real progress. The book has all the answers. Not people at meetings. At best, they have their own answers. At worst, they have none, but are more than willing to tell you how to solve yours. When I began, I went to 3-4 meetings a day. Over time, this waned until I go to only a few a year, and I work the program every day. The one in the book. Not the one “Old Timers” in some particular meeting room have agreed upon. Above all, do not do yourself in, do not drink, and do share your questions, fears, and successes with others who are recovering. 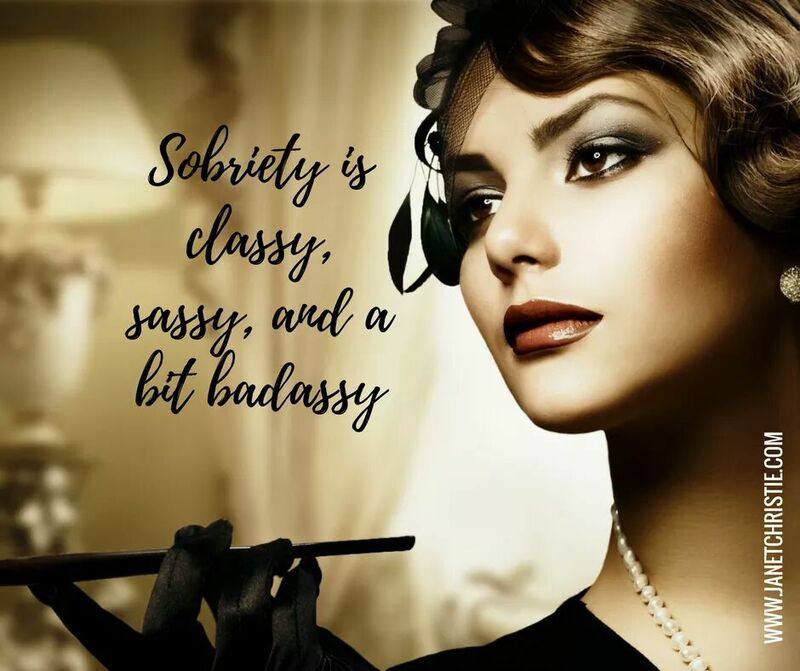 One does not have to go to a meeting every day to stay sober, but intil it becomes a way of life, it is highly recommended. Meetings are everywhere. It is fun to go to new ones. Speak your truth, someone needs to hear it. Take time with those who are floundering, but don’t try to carry them. You can’t and they can’t find their way if you do. Have a great trip…to California and through life.Thank you for blogging. Thank you for your pearls of wisdom and for taking the time to read the blog! Sending prayers and positive energy for your inner peace in the journey you are taking.I am so happy to see you doing this for yourself. Doing what you are doing is a very strong action. Never forget you are strong. Keep going, you will also inspire others. THIS IS AWESOME! I took a cross country sober journey after I had a year clean and sober too! My favorite part was all the different meetings I went to and the people I met. I ended up staying in South Carolina for 3 nights with someone I met at a meeting! I am throwing this on my site’s ‘blog roll’ so your posts will appear there. Don’t want to miss a stop! This is cool. Thanks Mark! I am super excited!!! The whole purpose of this site is to share my experiences, strenghths, and hopes with others. If I can give hope to just one person, my Mission will have been a success. Yippie!! So proud and happy for you!! I am not an addict, but I deal with a few on a daily basis. unfortunately they have not realized that they are sick yet. So, to see that God has opened your eyes like this makes me beyond happy! I have friends in every state from Alabama to California who would be there to help you at the drop of a dime if you need anything! Or if you’d like for me too, I can line up a few beds or couches to save you some money. Just say the word! You rock Amber! I’m not refusing any help anymore. I don’t even need a couch…I’ll sleep on the floor if it will help with expenses! Thank you!!! Some times we get so busy trying to make a life we forget to live! Amen Kevin. I am finally realizing that…better late than never! Gracie & I will miss you! Great job on the website! Safe travels! I’ll say my farewells in person closer to your departure. Thanks Melissa! Love you too! So proud. Say goodbye to that fear. Leslie, good luck on your journey. I will be praying for you daily! Thank you Wade! Prayers are always welcome!